Sat Jan 14th 8pm - Although, according to the calendar Christmas days are over, the Christmas spirit is still in the air. In the Polish tradition Christmas carols are alive throughout the whole of January. 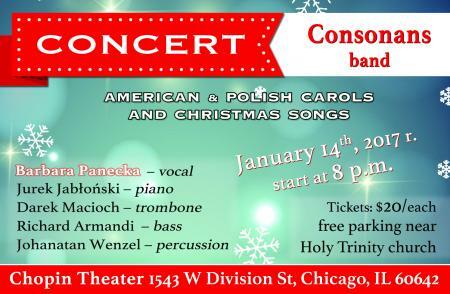 Following those customs, "CONSONANS" group with vocalist Barbara Panecka invites you to an evening of Polish and American Christmas carols and songs.